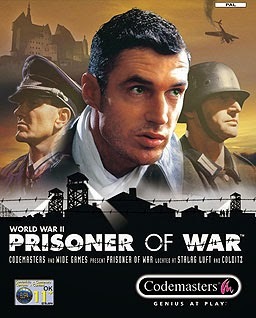 Prisoner of War is quite different from other stealth games in that, although other stealth games utilise some small form of violence for the player to achieve his objectives, this game portrays little to no violence. For example, if the Nazi guards on duty, spot the player acting suspiciously, they will not shoot on sight. Instead, they will call on the player to cease his activity. If the player continues to disobey the guard, the guard will shoot him. There are other similar such scenarios for the player losing. If the player is near the guard when he is caught acting suspiciously, he will automatically surrender and lose. These scenarios open up a whole new dimension of ideas for the player to achieve his objectives, but the key aspect to the completion of this game is stealth. It also makes this game extremely difficult to complete. Furthermore the game does not provide the player any combat mechanics; the player is unable to fight or kill any of their opponents and is instead required to complete their objectives through the use of stealth and deception.